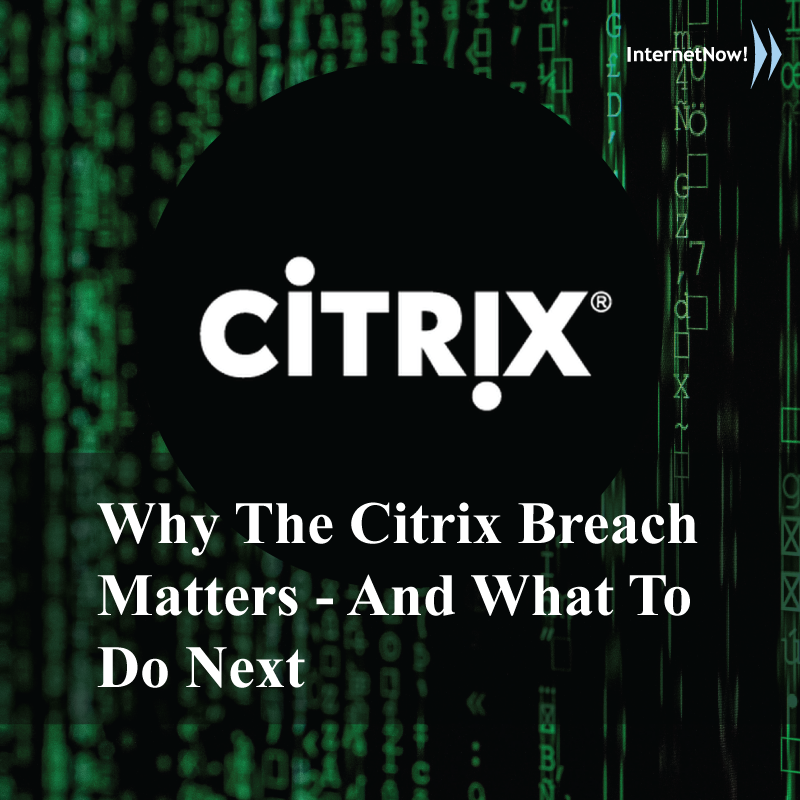 March 6, 2019, the FBI contacted Citrix with the news that international cyber criminals had likely gained access to the internal Citrix network. The firm says that it has taken action to contain this incident and continue to cooperate with the FBI. While it’s not yet possible to pinpoint what exactly has happened and the nature of the data accessed. However, it appears that hackers might have accessed and downloaded business documents. The FBI thinks hackers likely used a tactic known as password spraying, which is a method of exploiting weak passwords. U.K.’s National Cyber Security Centre (NCSC) found 75% of the participants’ organisations had accounts with passwords that featured in the top 1,000 and 87% had accounts with passwords that featured in the top 10,000. At InternetNow Teknologi we have a service called Security Health Check-up for SME’s, whereby we provide a background check on the most basic security practises. Find out More, here.